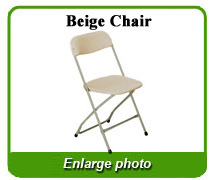 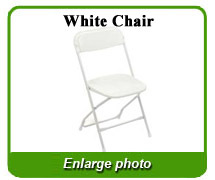 We carry white or black folding chairs that are clean, durable, and comfortable. 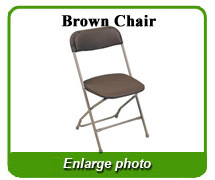 With plenty of chairs on hand, we regularly handle small and large events. 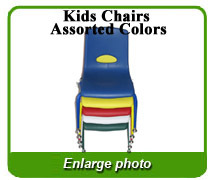 So when you are expecting a large crowd, you and your party can take a load off when renting our chairs! 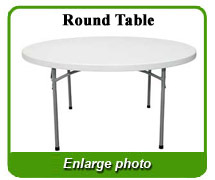 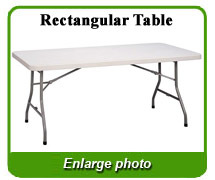 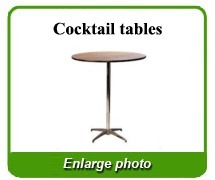 We carry four different styles of tables to choose from (Round & Banquet). 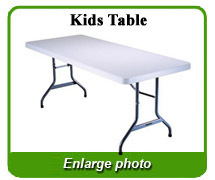 So when you have an event, you and your party can relax and rely, renting our tables and chairs!